The WWE has had an overabundance of PPVs this year and while they haven't been the best, there are a few that definitely hit the mark. There hasn't been one that was miles ahead of the other, so narrowing it down to the best on the year isn't necessarily easy. 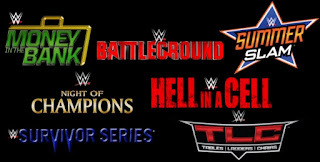 Survivor Series was okay, but inconsistent, TLC didn't have enough good matches to make it work, Summerslam was a one match show, and Wrestlemania 32 was horrible. Were any of the big four entertaining? I'd lean towards Royal Rumble, but when you have Triple H win the belt at the Rumble in 2016 and the forcing of Reigns in a main event, it just doesn't work. 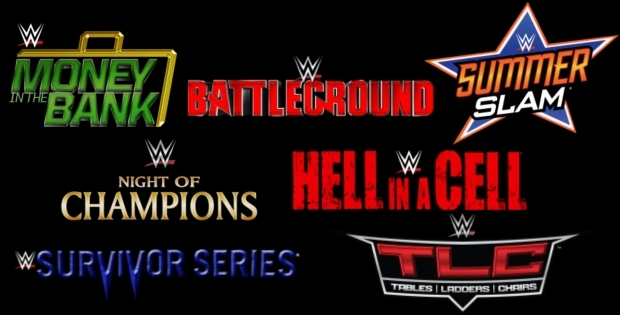 So to sum it up, the WWE had something interesting happen this year: their B PPVs surpassed their A PPVs, and while that's not a foreign concept to have ONE do this or maybe two, a majority of the B PPVs (including Payback, which just misses the list) were better than Survivor Series, Summerslam, and the most disappointing this year, Wrestlemania 32. So, what PPVs were the best this year? Let's take a look at the choices. 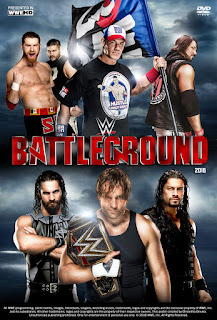 -This PPV was pretty good. There wasn't much of a lull in the event, and the matches were mostly solid. The tag team matches weren't that great, but were passable, and the US Title was okay as well. However, the Fatal Four Way for the IC Title, the Ambrose vs Jericho match (I enjoyed this one), and the main event of Reigns vs Styles were all solid and very enjoyable. It made for a very good PPV, one that beats out a number of the others this year (it barely edged out Payback). -This PPV was actually pretty damn good, and had a ton of HIAC matches, none of which disappointed me (including Reigns vs Rusev after the first 9 minutes). The tag team matches here were virtually insignificant and served little purpose, but the main events were what this PPV so vital. I enjoyed the Cruiserweight Championship match, as Kendrick and TJP put on a solid contest, but the match that stole the show for me has to be the WWE Universal Title bout which featured Seth Rollins and Kevin Owens putting on a great match. The main event was a first, as for the first time ever, a feud main evented a PPV, with Charlotte and Sasha Banks taking part in the first ever Women's Hell In A Cell match. The match didn't disappoint until the awkward ending, but the match overall was pretty damn good, showing the women could handle the challenge. Overall this PPV was pretty good, a solid event. -I wanted to crown this as the best, but some of the matches here just were pretty lifeless and the Miz vs Darren Young did nothing for me as a fan at all, and the 6 man tag fell slightly flat. However, the Sami Zayn vs Kevin Owens battle is a Match of The Year candidate and Bayley making her first main roster appearance was really great. Not to mention, the long awaited Shield Triple Threat match finally happened and it was absolutely great. Dean Ambrose retained and this was the end of an era in a way as the brand split was in full effect officially after the PPV. This would have won had the rest of the PPV been consistent. -There's a few things that elevated this PPV over the others. For one, the MITB PPV has been the most consistent of them all during the years for WWE with most of the shows being a solid kickoff to the summer for the WWE. This one was no different, as we had two big mega matches on the show in the form of AJ Styles vs John Cena and of course the main event for the WWE Title with Roman Reigns defending against Seth Rollins. 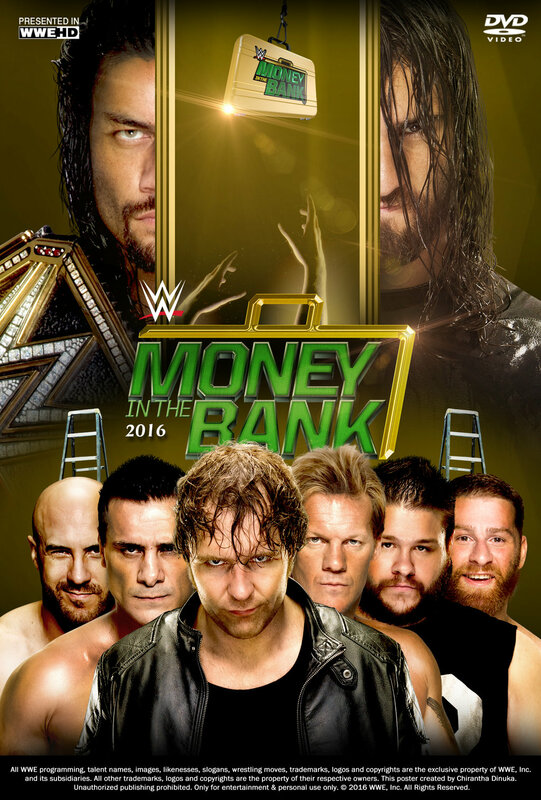 In addition to those mega matches, we had a very good MITB match with 6 top tier competitors that was won by Dean Ambrose, finally giving him a big victory. Aside from the women's tag team match and the unnecessary US Title match between Rusev and Titus O Neil, this was certainly a solid card and even matches I didn't expect to be good (Baron Corbin vs Dolph Ziggler and Apollo Crews vs Sheamus) were pretty decent. As for the main events, Styles vs Cena was great and Reigns vs Rollins picked up the pace after the first 10 minutes or so, and ended beautifully with Seth getting a clean win. Ambrose cashed in also for a mark out moment and finally became the WWE Champion, finishing a long road to the title for him. 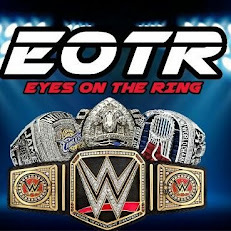 It was a turning point for the WWE and a major night for the company and it is the best WWE PPV this year hands down.